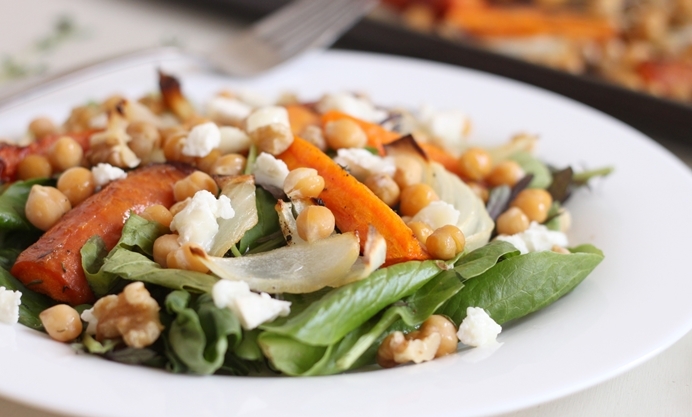 Becca's recipe for roasted carrot and chickpea salad combines the earthy goodness of the roast veg with soft, tangy cheese and crunchy walnuts. 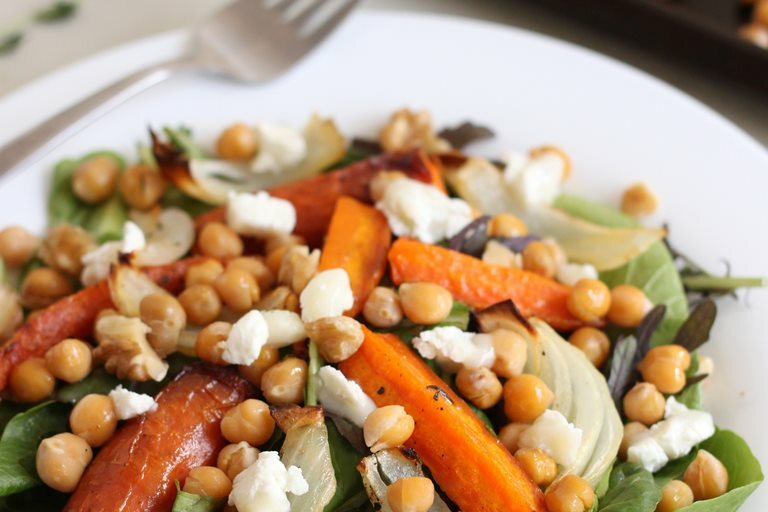 One of my favourite ways to show off fresh produce is in a salad - but since it's now September and the weather's getting cooler, I don't always feel like eating a big plateful of cold, raw vegetables. So instead, I made a warm salad with roasted carrots and onions. I served the veg on a bed of greens, and topped it all with some soft goat's cheese and walnuts - which are a match made in heaven, and really add to the autumnal feel of the dish. 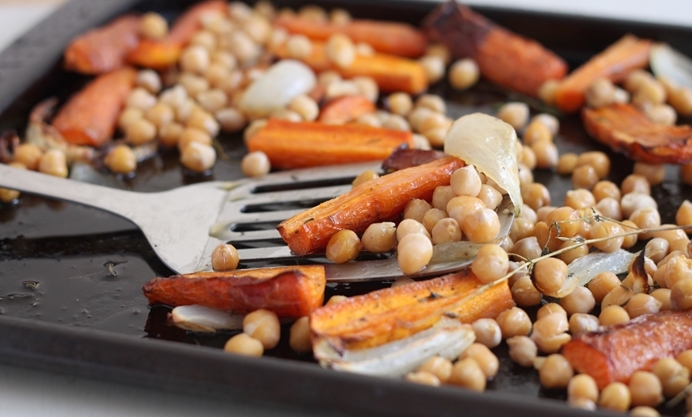 Some roasted chickpeas added a hit of protein, and also helped to make the dish feel hearty and filling enough for a cold evening. I really loved the combination of the earthy roasted vegetables with the soft and tangy cheese, and the walnuts gave a great occasional crunch. You can, of course, mix up the salad with whatever autumnal vegetables you have to hand - roasted parsnips, beetroot and leeks would all be delicious too!